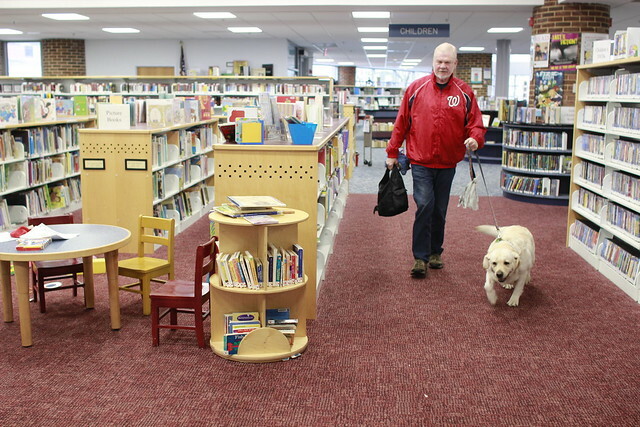 If you are looking for a free activity to do with children, the public library in Del Ray is always a great choice. 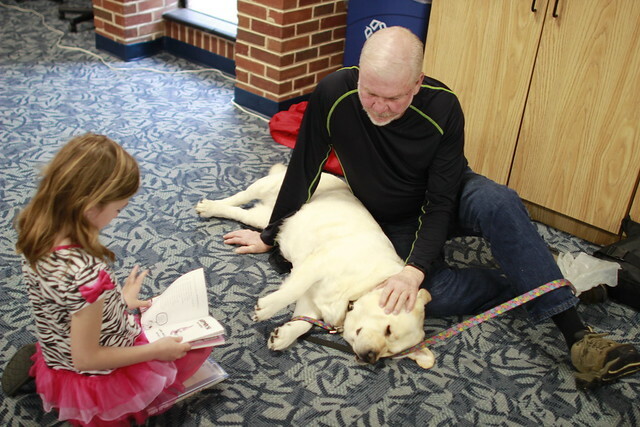 When the dogs show up for the Paws to Read program, the library is an especially cool place to be. 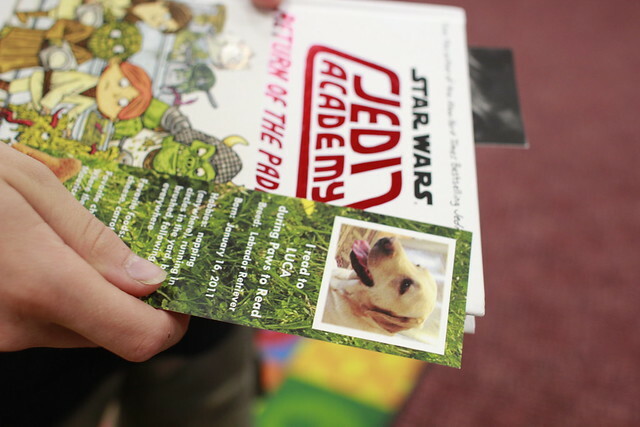 The kids usually leave with a bookmark with the dog’s picture and some extra information about their new canine friend. 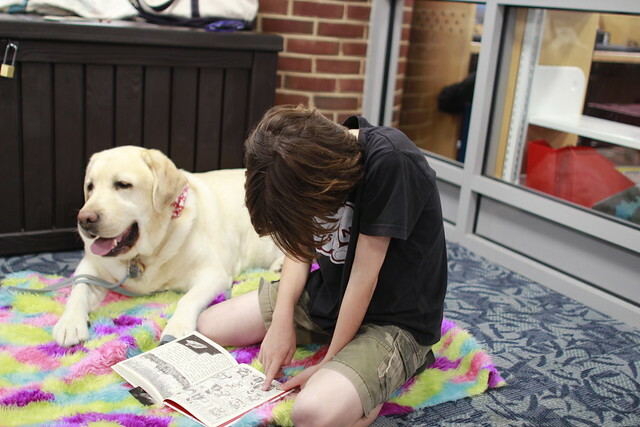 My kids have developed a few favorite dogs, although they are excited to read to any of them. This is a great way to get in some extra reading for your kids. 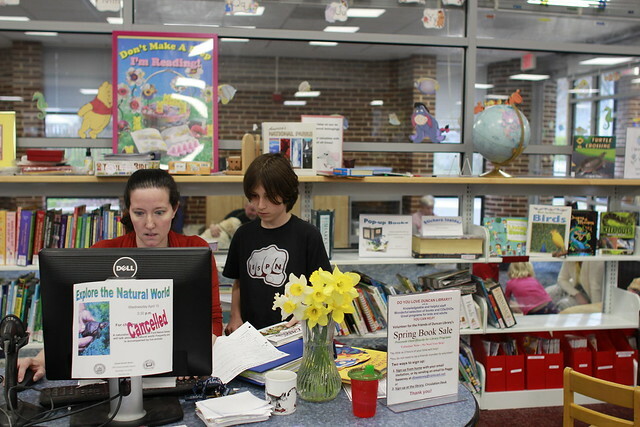 You have to sign up in advance, and they do fill up, although Ms. Elizabeth, the children’s librarian, is known for squeezing in a kid or two who shows up without a reservation. 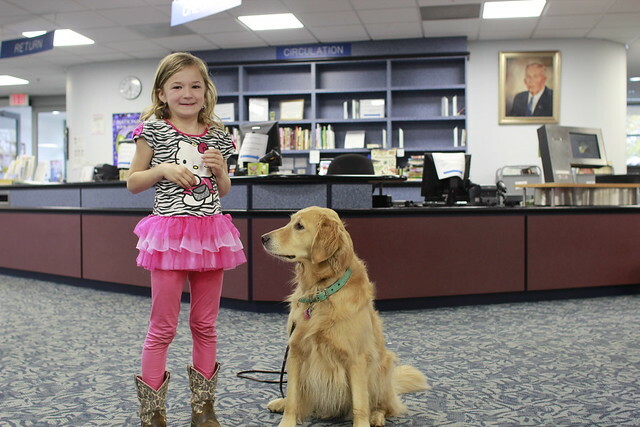 Paws to Read is an ongoing program at the library and my kids have been going for over a year. It is every other Tuesday, the next one is on May 12 starting at 5:30 p.m. Be sure to stop by the Duncan Library and save a spot for your little one. To keep kids coming back for more, Ms. Elizabeth makes sure the library schedule is packed with other interesting events too. 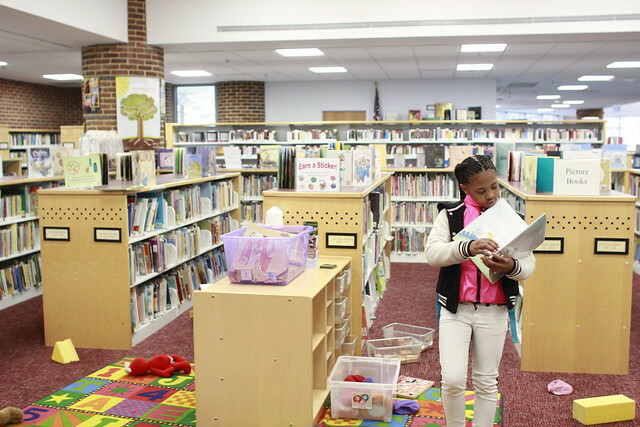 She’s also always available to help a child find the right book. By the way, the Duncan Library biannual book sale is this week! It’s a great opportunity to support the library and find some new books for you and your family. Thanks for mentioning the book sale. It’s Friends only real fundraiser and much of the money goes to children’s programs like Summer Reading. This is such a wonderful program. Thank you Justine for writing about it. More cities should have it.